• Drivy hits 250,000 users mark and 20% month-to-month growth, as people forgo buying a car to rent one from neighbours instead. • Average car owner on Drivy makes €1,000 a year from a car that would otherwise sit idle. Drivy, a peer-to-peer car rental service that delivers the convenience of having a car without having to own one, has announced a €6 million series A round, from existing investors Index Ventures and Alven Capital. The additional funding, which brings the total amount raised to €8m, will be used for pan-European expansion, product development and to grow significantly its 20-strong team in France and across Europe. 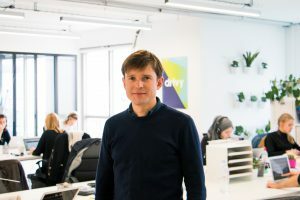 Following its success in France, where it has attracted 250,000 users – making Drivy not just the biggest peer-to-peer car rental marketplace in that country, but in all of Europe too – the company will now make its service available in Germany and Spain. Offices in Italy, The Netherlands, Belgium and the UK are set to follow. The Paris-headquartered startup, founded in December 2010 by Paulin Dementhon and Nicolas Mondollot, makes it quick and easy for drivers to rent a car, as and when they need it, from car-owners whose vehicles would otherwise sit idle. With 24/7 access and a network of over 16,000 locations across France (four times as many as traditional rental locations), the service offers the freedom and flexibility of having a car, without the flipsides of ownership such as depreciation, maintenance and security. Renting a car from a peer is not only 30% cheaper than from a traditional rental agency, but more importantly, it’s much more convenient. Thousands of locations mean there is nearly always a car nearby, users don’t have to deal with restrictive opening hours and 98% of Drivy’s customer ratings are positive indicating that people prefer to rent from their peers and neighbours than from a faceless corporation. The service is expanding at a time when car ownership in cities is increasingly being discouraged and young people are more ambivalent about owning a car than their parents’ generation. Drivy is the leading peer-to-peer car rental marketplace in Europe. The service lets car owners rent out their car to their neighbours, and includes specific insurance coverage to ensure safe rentals for both sides. 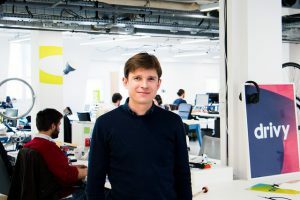 Drivy was launched in Paris by Paulin Dementhon and Nicolas Mondollot in December 2010, and operates throughout France. 16,000 cars are shared on Drivy between 250,000 members. Drivy is available on both iOs and Android devices as well as on drivy.com.